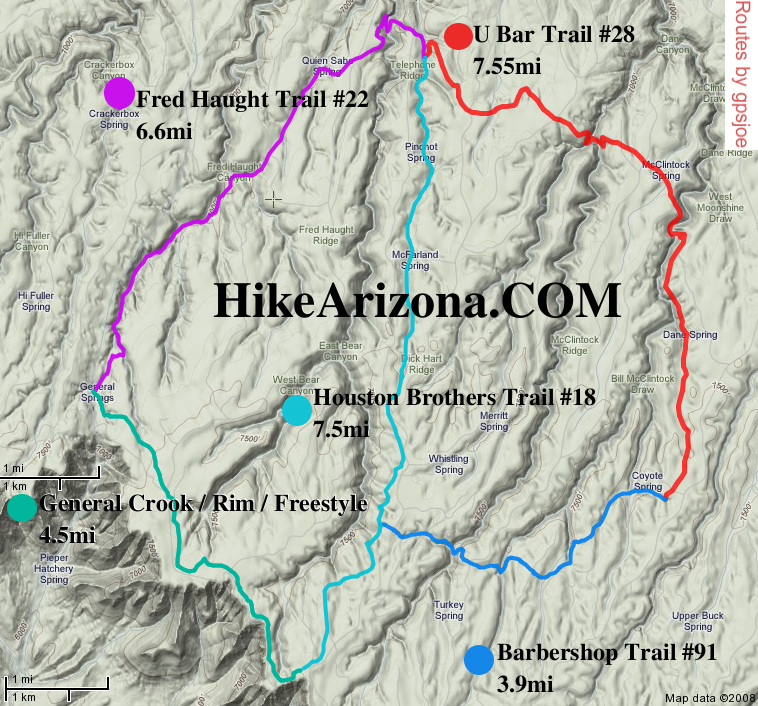 The Cabin Loop Trail is the link between the earliest fire guard cabin network in this area of the Mogollon Rim and has its roots in the beginning of the Forest Service era here. 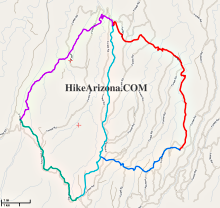 The trail was developed between the General Springs Cabin, Pinchot Cabin and Buck Springs Fire Guard Station. Administratively, the cabins were part of the Bly Ranger District, now the Blue Ridge Office of the Mogollon Rim Ranger District. The Bly Ranger District had a winter administrative headquarters at the Old Bly Ranger Station located about 10 miles north of the present Blue Ridge Office. The summer headquarters for the Bly District was the Blue Ridge cabin near Rock Crossing Campground. These two cabins are no longer in existence. 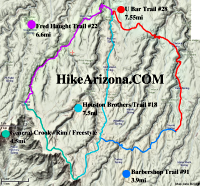 The trail passes through some of the most spectacular country in Arizona and you will encounter a variety of landforms, vegetative communities, and a number of springs and perennial water sources. 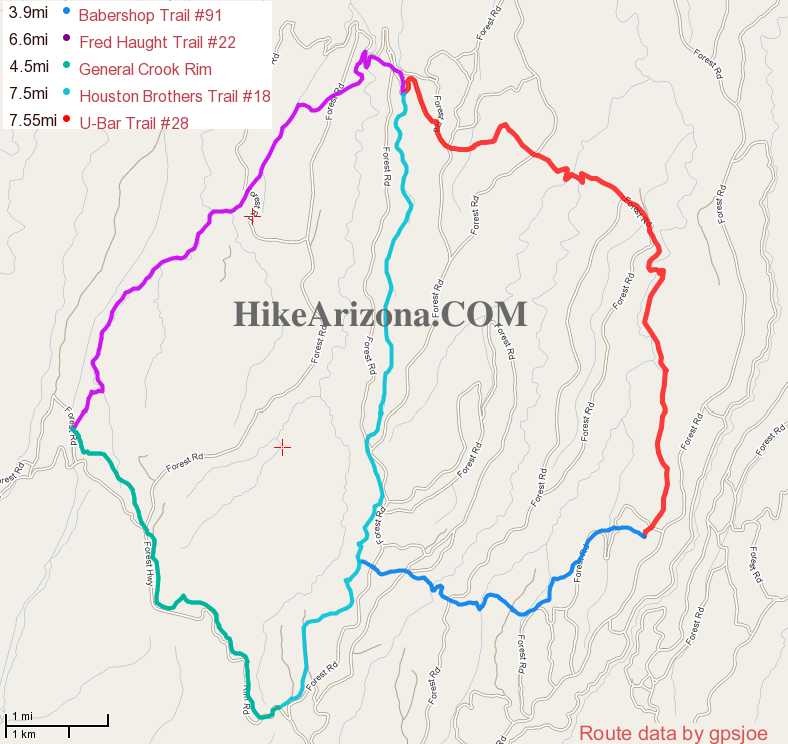 It is important to remember that trails such as the Cabin Loop Trail provide the only access to the country in the early days. This and other trails were used and maintained by early Forest Rangers, ranchers and settlers. Livestock was driven up the Rim from the Tonto Basin and grazed during the summer up on the Rim. Portions of the trails are still used by ranchers for moving livestock. Historic accounts tell us that the old timers who made and used the trails blazed them to a height of 6 or 7 feet so the trails could be followed even after a deep snow. Maintenance and repair of the old telephone line was a priority for the rangers each spring. Their accounts indicate that snow lasted late here and it wasn't uncommon for them to have a ride over 4 foot drifts during spring rounds.